I have been an indie author since 2010 after the publication of my first novel Love Child. Love Child is the first book of my Child series which I have been writing since that publication. 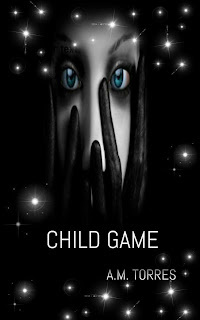 Child No More, and Child Scorned are books that followed, and I am currently working on Child Game which will be the next edition. Since working on this series I have experienced the love of being an indie author. As someone who has loved writing for most of my life I shared the dreams of being published professionally. I hoped to submit my manuscripts to traditional publishers hoping someone would love my book enough to offer me a contract to publish it. I never expected to have the opportunity to self publish, and now that I have I have come to love it. There is a lot of hard work that a self published author must take care of him or herself. There's the promotion, the editing, just to name a few things. However, there is also a sense of freedom one can enjoy for a while. With self publishing despite the hard work, you are allowed a sense of freedom to make most decisions yourself. You can choose your own cover, and since you have no contract, you have no deadline either. This has to be one of the things I love about being an indie author. The author who has to be responsible for his or her promotions, is also the one to have the final say in a lot of the work as well. I love it despite the hard work, and there are pros and cons to these things, but for me just having the opportunity to live my dream is good enough right now. I've published the Child Series, and I've also published a yearly Christmas themed poetry book J and K Christmas since 2012. This book has Christmas poetry and short stories. This year I will only be publishing Christmas poetry, and I have one small all poetry book titled Shadowed Tears. All of these titles are available in the Amazon Kindle Store. Living this dream of publishing even as an indie author has been quite the experience.